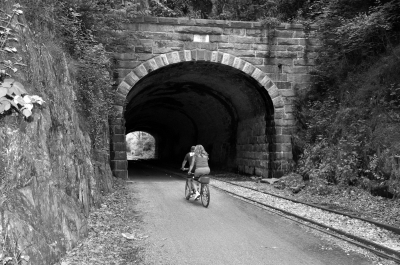 Heritage Rail Trail County Park, sharing the corridor of the former Northern Central Railway chartered in 1828, provides a link for visitors to some of York City's oldest buildings and the creek where America's first iron steamboat chugged. Location: Starting south of York City, the trail travels 19 miles south to the Maryland/Pennsylvania boundary, Rail trail connects York south to Seven Valleys, Hametown, and New Freedom. - Hanover Junction Railroad Station - A rail stop with a connection to Abraham Lincoln and the Civil War. 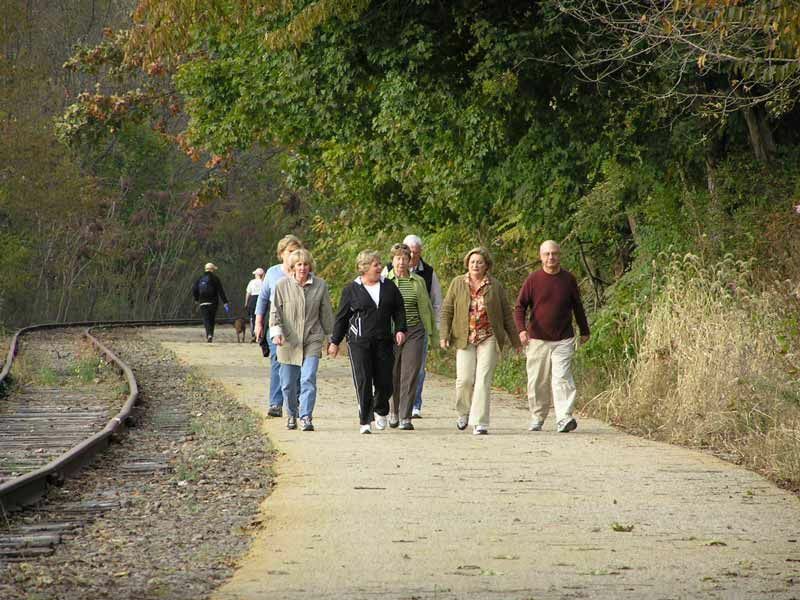 The trail is constructed adjacent to the railroad tracks (tracks remain in place and are usable) with a surface of crushed compacted stone. The cost to construct the trail totaled 3.7 million dollars. Funding partners included: federal, state, county and municipal dollars, individual and corporate donations as well as utility fees collected for use of the corridor. 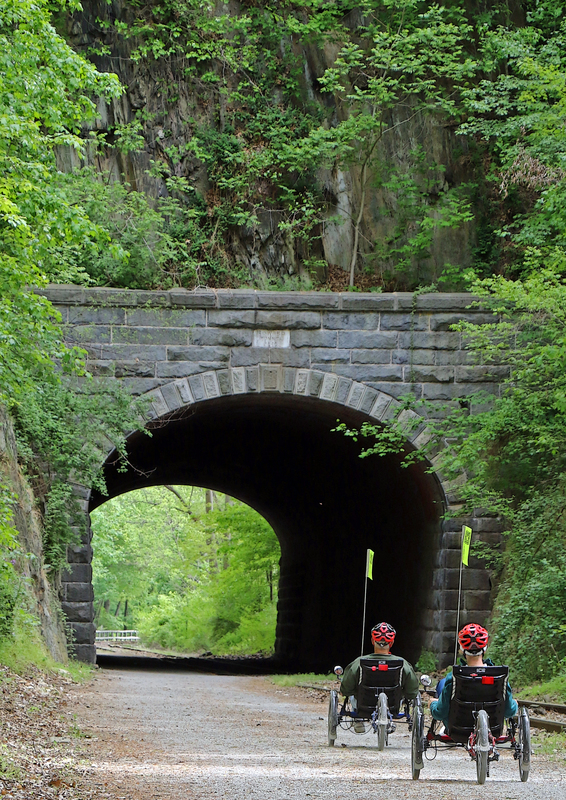 In 2006, visitation to the trail totaled 310,295. ADA compliance accommodates all user types on Heritage Rail Trail. Photo by Carl R. Knoch. 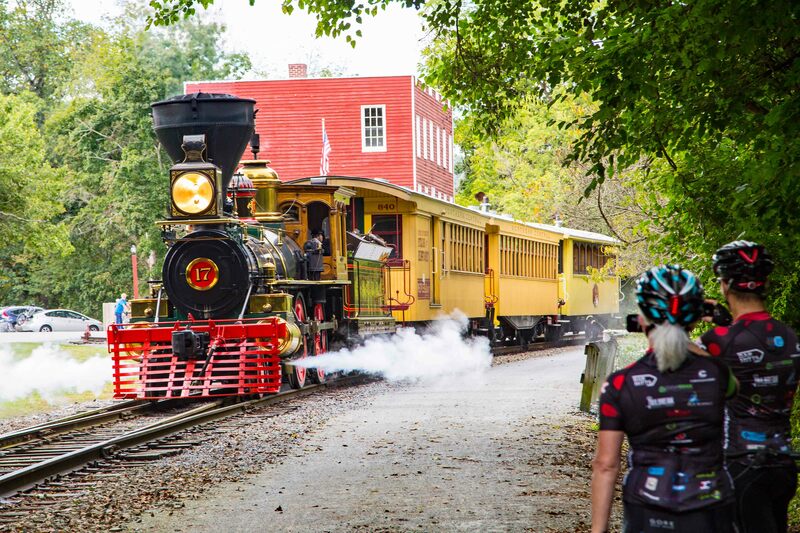 Equestrians and cyclists share the Heritage Rail Trail. Photo by Carl R. Knoch. Sunset over New Freedom on the Heritage Rail Trail. Photo by Carl R. Knoch. Bridge near Seven Valley's around trail marker 50. Photo by Tammy King. Runners in Bob Potts Marathon coming out of the tunnel. Photo by Carl R. Knoch. 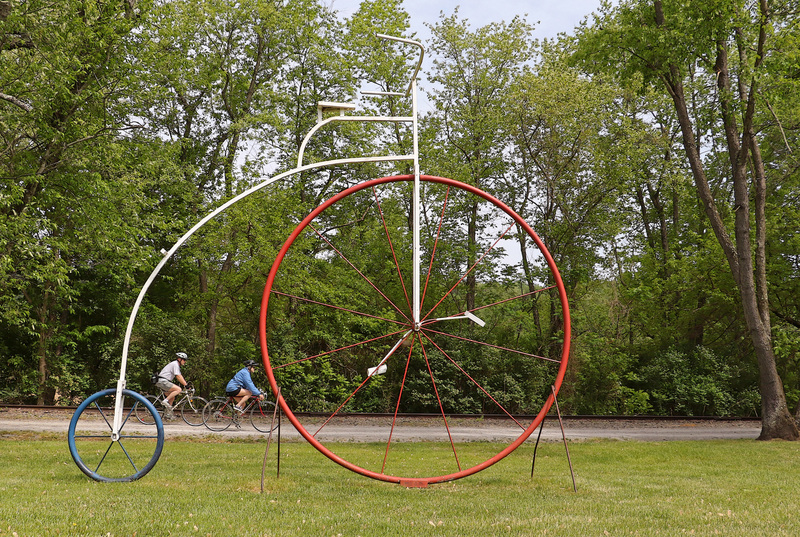 Oversize bicycle trailside art built and installed by a local small business near Seven Valleys. Photo by David Brown. 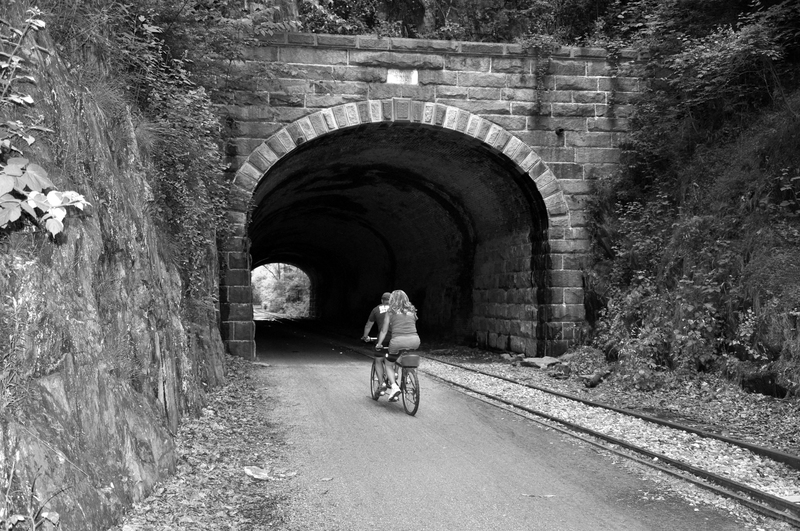 The Howard Tunnel is known as the oldest continuously operating railroad tunnel in the nation. Photo by David Brown. Steam into History tourist train leaves Hanover Junction Train Station. Photo by Tim Senft. 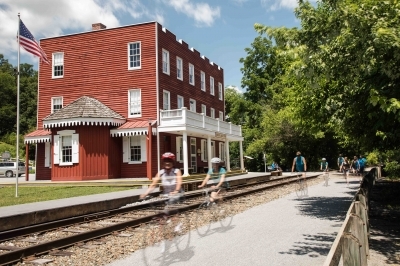 Ghost riders pass Hanover Junction Trail Station. Photo by Tim Senft.